Christmas trees make excellent habitat for birds and other wildlife if left outside after the holidays. If you have enough space on your property, consider leaving your tree out to decay naturally over time. If you know anyone with goats, talk to them-goats love to eat Christmas trees! Volunteers will collect trees in Vergennes and Middlebury EARLY on Saturday, January 5. Please put trees out the NIGHT BEFORE so you don't miss it! Trees only, please! No wreaths.Remove all ornaments, garland, tinsel, & wire. Any District resident may drop off trees at the District Transfer Station, open Monday-Friday 7AM to 3PM and Saturday 8AM to 1PM. Christmas trees are accepted free of charge until the end of January. Trees only, please! No wreaths.Remove all ornaments, garland, tinsel, & wire. 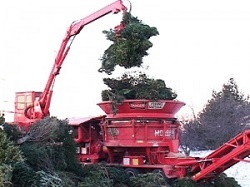 After the Holidays are over, you may also turn your tree into Merry Mulch by dropping it off for free until the end of January at the District Transfer Station in Middlebury. Trees will be chipped in the spring and mulch will be available to residents while supplies last. Please remove ALL ornaments, garland, and tinsel as these materials will contaminate the Merry Mulch. NO wreaths please. Please contact the District (388-2333) for collection dates as the holiday season approaches. The City of Burlington will provide FREE curbside collection of Christmas trees for Burlington Residents ONLY on Tuesday, January 10th. 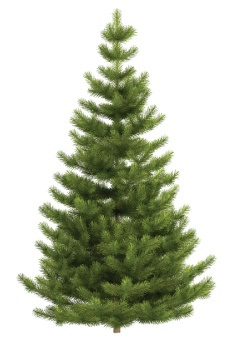 Just place your completely bare tree (No Tinsel) at the curb by 7:00 a.m. and it will be picked up at no charge. NO WREATHS, SWAGS, TREE STANDS, OR TINSEL PLEASE. Cost: FREE. Phone: (802) 872-8111. Email: info@cswd.net . The trees are chipped and and burned as fuel to generate electricity for Burlington Electric Department. Others go to Lamell Lumber where they are used as fuel to heat their kilns. 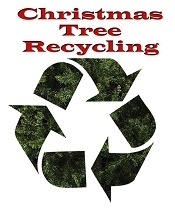 (2) Place the tree at the curbside, but not before Monday the 6th of January. If you place the tree out earlier, and the tree is buried in a snowbank, it will not be picked up. (3) Wreaths and other items will not be picked up and recycled because of the mixed product (metal and organics material). (6) The tree pickup is planned to end on Friday, the 10th of January, unless delayed by weather. Please remember: The alternatives for disposal are curbside pickup by the Town starting on the 6th of January and ending on the 10th of January or direct delivery by the individual to the CSWD drop-off facility. See this page for updated information . Holidays may affect our hours of operation. View a list of holiday closures.